The traditional university produces knowledge as distinct from society, and does not consider the production of truth is itself a social, practical and material activity. In conceiving critical knowledge in the abstract, the University denies the place of social, practical and material activity as a mode of critique. The University cannot conceive of itself as a practical-critical activity. It is essential to educate the educator. The professor should not be respected according to status but only praxis. Until the professor deigns to speak to the student as equal, academic critiques can only be conceived as something to be necessarily overcome in practice. If the students ever seriously threaten to take over the University, we predict that the overwhelming majority of professors will side with the bureaucratic guardians of the status quo: vice chancellors, wardens, senior management and boards of directors. As intellectual workers we prefer to share our work with others inside and outside of the university. As intellectual workers we refuse the fetishised concept of widening participation, and engage with teaching, learning and research only so far as we are able to dissolve the institutional boundaries of the university. Not mass education or education for the masses but mass intellectuality. Mass education is based on the assumption that people are stupid and must be made not-stupid (i.e. Educated). Mass intellectuality recognises that education maintains the population in a condition of stupidity (i.e. Intelligence Quotient) regulated through examinations and other forms of humiliations (i.e. Grades and Assessments). Mass intellectuality is based on our common ability to do, based on our needs and capacities and what needs to be done. What needs to be done raises doing from the level of the individual to the level of society. In the society of doing, based on what needs to be done, my own needs are subsumed with the needs of others and I become invisible (i.e. Free). The University of Utopia. n.d. Anti-Curricula. A Course of Action. The pensions strike feels like it is everywhere, and yet it is nowhere. It feels like it could be a movement, and yet it feels static. It feels like it must win, and yet networks of power threaten to negate it. BEYOND AN ISSUE; A MOVEMENT OF DIGNITY. The pensions strike is a movement of indignation about the past, present and future of academic occupations. As a result, it has inspired student occupations: a crack. Yet I wonder the extent to which it is a movement of dignity that shows how tenured academics can open themselves up to their precariously-employed peers, how academics can open themselves up to students in-debt, and to their overworked colleagues in professional services, so that the University might be reimagined. I remember the demonstrations in London in 2010, and the occupations and the teach-ins, and the discussions of co-operative universities, and I remember the kettles, and the students ending up in hospital, and the freezing night on Westminster Bridge. And I remember thinking, where are academics in this? Where are we in this, as their present and their futures are dissolved in debt? Not all academics, I know. But most. DOTS BEING JOINED; BEYOND SELF-INTEREST. And I note the reports from institutional UCU branches of students joining picket lines, of students refusing to cross picket lines, of students going into occupation, and of students pushing an anti-commodification and anti-marketisation and anti-financialisation agenda. And of dots being joined. Students joining staff; not all students; not all staff; but a start. So I guess my question is how do we overcome the polarisations and quantifications and measurements that management wish to impose upon us, of those students versus these staff? Of staff diminishing the value of the student experience, and of staff needing to be punished for action short of a strike, and of management using a fetishised conception of the student to punish staff? From where is solidarity born, in order to escalate this action? Because if this is not an action that can be escalated from pensions, to university governance and executive control, to the use of data to manage performance in the name of an abstract truth, to the assault on labour rights through casualisation and precarious employment, to the assault on the mental health of staff and students through the law of value and value-for-money, to the performance management of staff and students and the imposition of overwork, to individualised risk for staff and students, to the imposition of debt, and to the annihilation of collective engagement in the face of the market, then it stands for nothing. This cannot be a single issue protest. How can this connect into the idea of the University and of higher education at the level of society? How is this to be theorised, in order to engage in a battle of ideas, and to roll-out an alternative, collective conception of higher learning and teaching? How do we amplify and escalate the political content of this strike, to reinforce the bonds between tenured and precarious academics, between academics and students and professional services staff, and between academic labour and society? This is important because the connection between academics, professional service staff and students is their shared, alienated labour. It is not the hope for tenure and status that catalyses performance anxiety throughout the academic peloton. The status distinctions between professors, teaching assistants, students, service staff, which management need us to fetishised and reinforce. We need to imagine a world in which the use of difference for exploitation can be abolished. We must start from recognising the solidarity in our own and our peers’ alienation. McQuillan, M. 2015. Goodbye to all that. There is a need to join in solidarity beyond the University, to other struggles against a life mediated by money, commodity-exchange and the market. Through the pensions strike, this is crucial in our pointing towards collective rather than individual insurance against the future, and in describing what a good life might look like. It seeks to redress the loss of autonomy that we suffer under the rule of money, but it can only do this at the level of society. If we cannot imagine this is a social problem, and can only see it in terms of this single issue, power-vested-in-money will flow so that it kettles us elsewhere. The worst excesses of the market will kettle us elsewhere. We believe people should not go into debt for basic necessities like education, healthcare and housing. Strike Debt initiatives like the Debt Resistors’ Operations Manual offer advice to all kinds of debtors about how to escape debt and how to join a growing collective resistance to the debt system. Our network has the goal of building a broad movement, with more effective ways of resisting debt, and with the ultimate goal of creating an alternative economy that benefits us all and not just the 1%. Milburn, K. (2015). On Social Strikes and Directional Demands. The idea of striking at the level of society, rather than simply in one industry, amplifies resistance across multiple, complex terrains and spaces, by a range of different subjects. Because we are not simply professors or teaching assistants or postgraduates or whatever. We are mothers, carers, brothers, social service users, friends, singers, dancers, community organisers, volunteers, whatever. And we exist in a world where care, love, faith, courage, generosity, respect, dignity are being kettled by the market. We are being told that our relationships are conditional and risk-based. And this is squeezing the life out of us. As Marx knew, we need to aid movements that push in the same direction. We might begin with pensions, and take our indignation from the picket line and the teach-in, back into the institution, into our lecture theatres and our teaching spaces. And we might take our indignation into the ongoing use of zero-hour and casualised contracts, to support our colleagues without tenure. And we might take our indignation back into our relationships with our students, to fight for their futures. And we might be more active in the trade union, and across trades unions. And we might continue to organise. And we might take our indignation to the Office for Students and to policymakers who wish to define our educational lives through value rather than our shared, humane values. And we might take our indignation beyond the governance, regulation and funding of higher education, and beyond the ways in which our futures are being structurally adjusted, to enable us to fight for social justice. The demand is, of course for our futures, perhaps with pensions as the spark. But it must also be the demand for dignity. Over at the architectural education podcast (Arch Ed Podcast) there is a conversation between me and James Benedict Brown about the state of higher education, with a little bit of jibber-jabber about Walsall FC. In a connected development, I will be developing some of my thinking about HE in a forthcoming British Educational Research Association symposium, Debating theories of neoliberalism: New perspectives and framings in education research. The flyer can be downloaded here. My abstract is appended below. As one response to the secular crisis of capitalism, higher education is being proletarianised. Its academics and students, increasingly encumbered by precarious employment, debt, and new levels of performance management, are shorn of autonomy beyond the sale of their labour-power. This talk takes a Marxist political economic analysis of the implications of this lack of autonomy, in terms of the conception of subsumption (Hall and Bowles 2016; Marx 1867/2004). Movement towards real subsumption, revealed in financialisation and marketization, enables us to reconsider the utility of neoliberalism as a theoretical framework for analysing the re-engineering of the governance of higher education and the re-production of academic labour in the name of value (Clarke 2005; Davies 2014). In particular, this reflects upon ideas of authoritarian neoliberalism in the coercive orchestration of social relations in the name of markets (Bruff 2014). This reflection discusses the imposition of architectures of subsumption through which academic labour becomes a source of both overwork and anxiety. In analysing these connections it is possible to situate abstract, alienated academic labour alongside its psychological impacts, including anxiety and feelings of hopelessness (Hall 2018). The talk closes by examining whether narratives of solidarity, in particular from marginalised voices, might help academics and students to analyse and then move beyond their alienated labour (Johnson 2017). 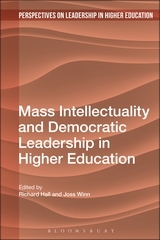 This frames such solidarity in terms of mass intellectuality, or socially-useful knowledge work, as a potential moment for overcoming alienation (Dinerstein 2015). Clarke, S. (2005). The Neoliberal Theory of Society. In Saad-Filho, A., and Johnston, D. (eds), Neoliberalism: A Critical Reader. London: Pluto Press, pp. 50-59. Davies, W. (2014). The Limits of Neoliberalism: Authority, Sovereignty and the Logic of Competition. London: SAGE. Marx, K. (1867/2004). Capital, Volume 1: A Critique of Political Economy. London: Penguin.